....I'd like to join you by your side. Every once in a while I get a little fan streak to me and depict Todd or Danielle or sometimes both as in this case as some of my favorite charcters. 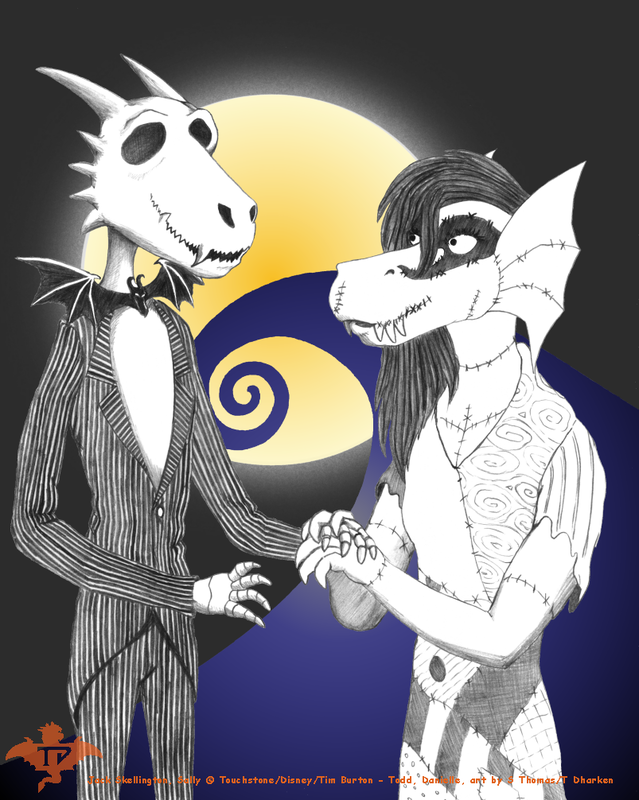 This one of Todd as Jack Skellington and Danielle as Sally is one of the better ones. The background on the original sketch was almost non-existant so in the cleaned up version, I went with a hybridized traditional meets digital approach to get the characters to stand out.